Diverticulitis is on the rise in the United States — by some estimates, it has increased by as much as 50% since the year 2000. Diverticulitis is an inflammation in your digestive tract that can cause a variety of issues, including diarrhea, bloating, and nausea, but treatments are available. 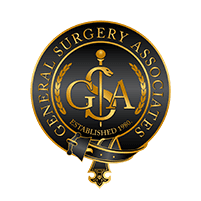 If you’ve been diagnosed with diverticulitis, book an appointment online or by phone with the experts at General Surgery Associates in Las Vegas, Nevada, to learn what your options are. Diverticulosis occurs when small, bulging pouches, called diverticula, develop in the lining of your digestive tract. If these pouches become inflamed or infected, the condition develops into diverticulitis. A lack of fiber may contribute to diverticulitis. Diverticula form in the weak areas of the colon, and when you don’t consume enough fiber, your colon has to work harder. Experts believe this additional pressure may cause the diverticula to form. Many of these symptoms are also caused by other conditions, so your doctor performs certain tests to properly diagnose diverticulitis. They may require a blood test, urine test, X-rays, or a CT scan. Your doctor may prescribe antibiotics to treat infection and may suggest an over-the-counter pain reliever. In order to give your colon time to heal, you may be restricted to a liquid diet. In the vast majority of uncomplicated diverticulitis cases, these treatments will be enough to provide relief. If you have other health problems or a complication such as a perforation or obstruction, or if you’ve had previous episodes of uncomplicated diverticulitis, your doctor may recommend surgery — typically a primary bowel resection or a bowel resection with colostomy. Your surgeon removes segments of your colon, then reconnects the healthy sections. This surgery is often performed laparoscopically, a minimally invasive technique using a tiny scope with a camera attached. Your surgeon may recommend this option if so much of your colon is diseased that there is not enough left for a primary resection. During this procedure, your surgeon connects your colon to an opening in your abdominal wall called a stoma, and waste goes through the opening into a colostomy bag. In some cases, the inflammation lessens, the bowel heals, and the colostomy can be reversed. 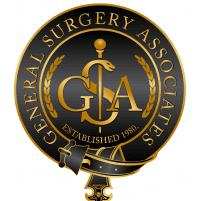 The surgeons at General Surgery Associates are happy to answer your questions about diverticulitis and discuss your treatment options. Book an appointment online or by phone.